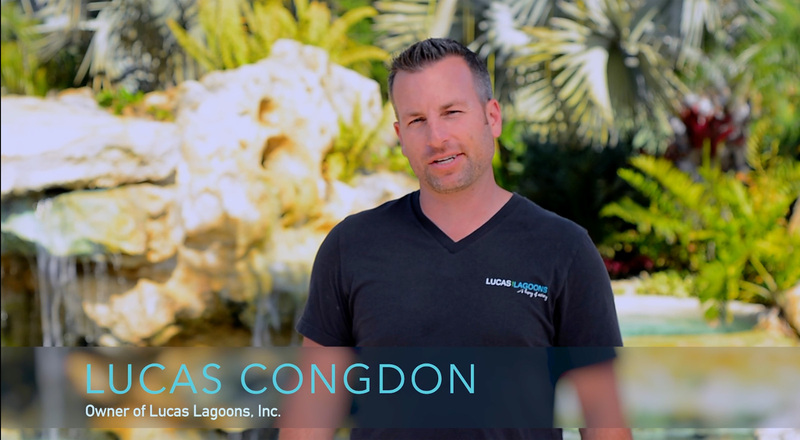 Luxury pool builder Lucas Lagoons of “Insane Pools” fame announces a NEW webTV series following the crew as they build epic pools, luxury lagoons and out of this world outdoor living spaces. Lucas Lagoons “Wild Ride” gives an up-close and personal take on the Lucas Lagoons crew as they push their limits to exceed client expectations and test their patience with trials and tribulations all while while traveling across the country building insane pools. Get ready, buckle up and take a dive with us! Dive into Luxury! Follow Lucas Lagoons on the adventure of building luxury natural lagoons and find your paradise! Follow the crew on a pool build in Ocala, a project consultation in Michigan, a trip to the homeland of Vermont and a modern lagoon build in Miami and try to keep up with the endless adventure that is Lucas Lagoons. From Insane Pools to the ups and downs of building top notch lagoons, you’ve been here through good times and bad. Now dive into the action with Lucas and crew as they build, break, collaborate and create on Lucas Lagoons Wild Ride! Watch More Lucas Lagoons TV!